You need more than you realize for a trip to the Most Magical Place on Earth! A recent article on the Disney Parks blog gave some great advice on what to pack for a trip to Walt Disney World — great, but incomplete. Not to cast doubt on the collective wisdom of the Disney Parks Moms Panel, but the average family needs to bring more than just some mesh laundry bags, ziplocs and pennies when visiting Walt’s Magic Kingdom, Not That One But The Other One. 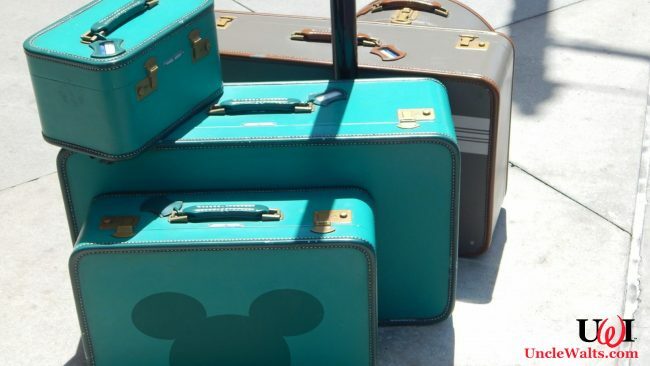 Fortunately for our readers, Uncle Walt’s Insider staff have been there, done that, got the churro-stained t-shirt, and we can give you the full rundown of everything you need to pack for a successful Disney vacation! The blog article recommends bringing pennies and quarters for the penny press machines, but true Disney veterans know that a quarter won’t even buy you the tantalizing smell of a churro. The old joke is to set out all the clothes you want to take and money you plan to spend, then take half the clothes and twice the money. To be safe, though, we’ve found it best just to wear what we have on and then load up the suitcases with currency. 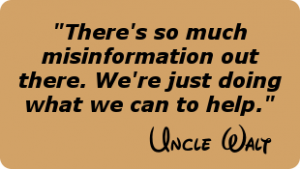 However will you understand Donald without it? Daisy isn’t always around to translate. Some newbies get suckered into Disney’s suggestion that all you need to carry with you in the parks is your Magic Band, but veterans know that’s not always the case. If you plan to drive one of the Tomorrowland Speedway cars in the Magic Kingdom, you’ll need your license and insurance handy before getting behind the wheel. It’s not just a good idea, it’s the law! And there you have it — everything you really need to have a magical vacation at Walt Disney World, at least until we think of some more for another article. Have a great trip — and tell Helga we sent you! Do you have any essential things you pack? Let us know in the comments below!